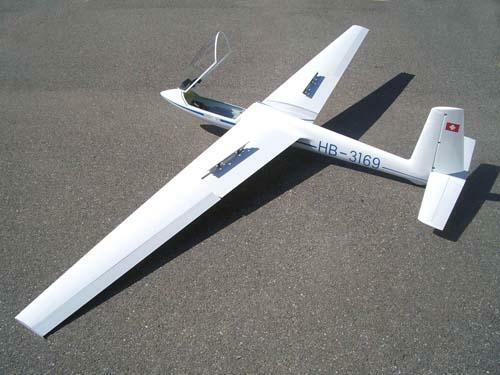 Scale model of the famous sailplane.The wings are equipped with air-brakes but also with camber flaps. These flaps have a longer length compared to reality and are divided into 2 parts. 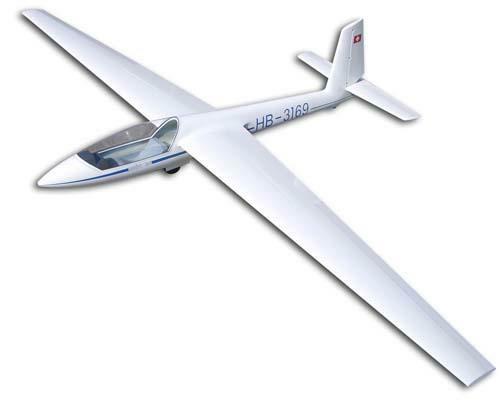 Thus, it is possible to use these 2 parts, together, like gigantic ailerons but also as camber flaps. 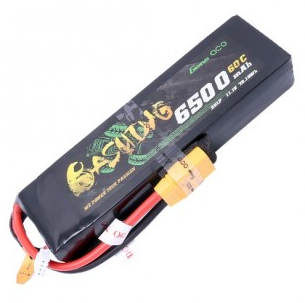 This makes possible to make the Swift even more general-purpose and powerful in aerobatic. 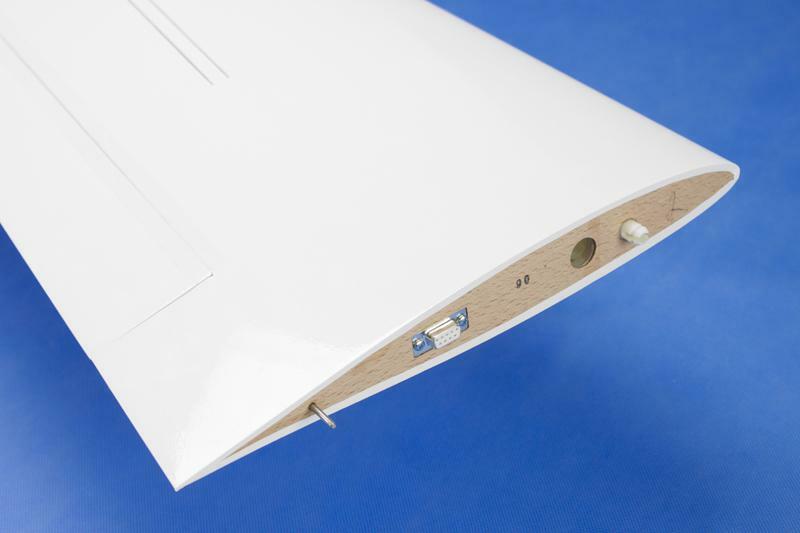 Swift S1 ARF (covered with Oracover®). - Fully built-up and matched model. 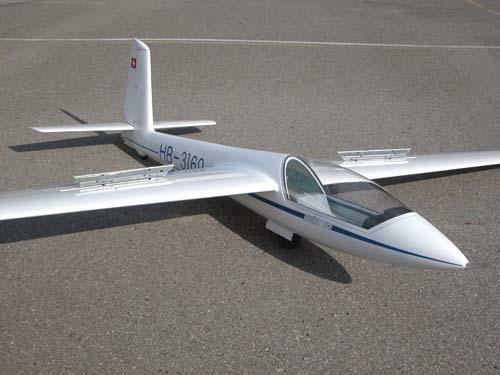 - Ready fiberglass FUSELAGE with already installed sliding cabin, fiberglass seat, dashboard panel, connectors, wiring for aileron servos and airbrakes and wing joiner casing. Further rudder and bowden are fixed. Retract gear (bay doors installed), tailwheel and tow hook already installed. - WINGS with metallic airbrakes and ailerons already installed. Wing fixing device already installed and servos connector also. - Stickers are sticked on model. 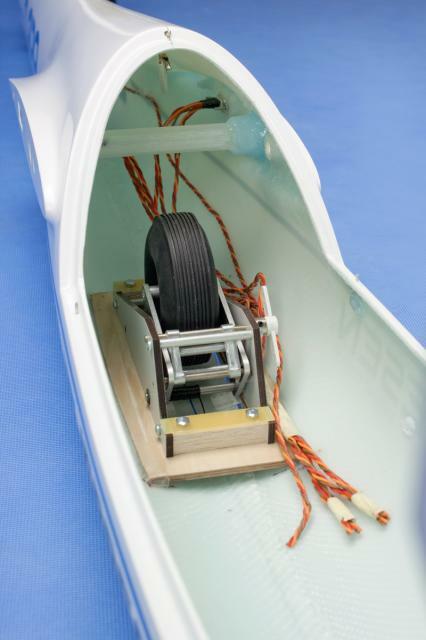 - Ready fiberglass fuselage with already installed fiberglass seat and dashboard panel. De luxe version is delivered as you see with retract gear (bay doors installed), tailwheel and tow hook already installed. 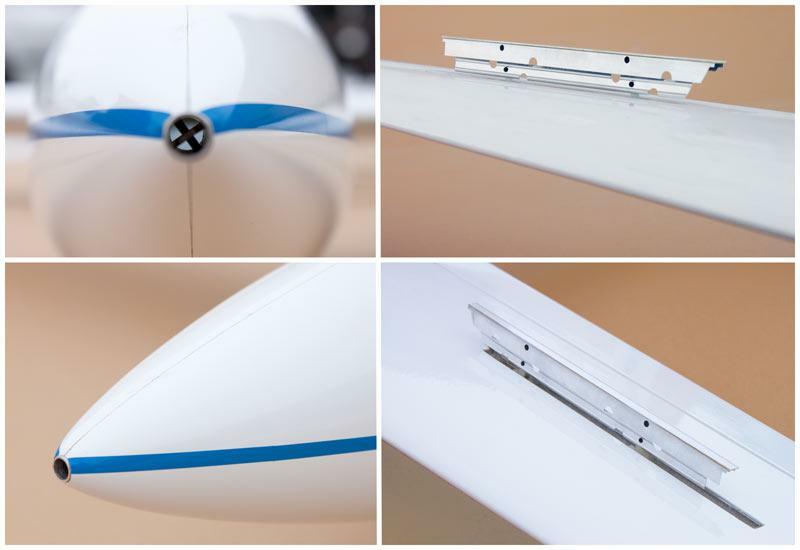 - Ready foam core abachi wings with carbon-fibre reinforcing covered with Oracover® with metallic airbrakes and ailerons already installed. 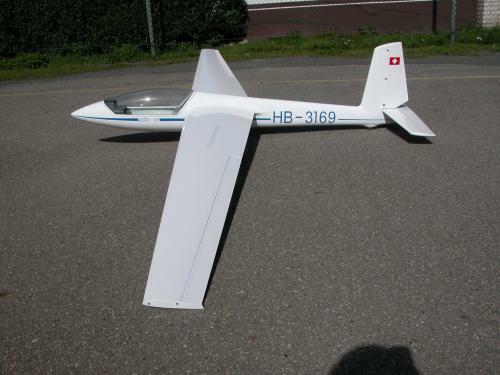 - Ready foam core abachi horizontal stabiliser covered with Oracover®.